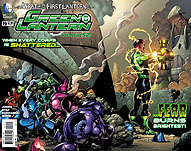 For covers and two- to eight-page previews of DC Comics titles arriving in stores on April 3, CLICK HERE. 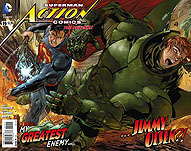 Titles include Action Comics #19, Ame-Comi Girls #2, Animal Man #19, Batwing #19, Detective Comics #19, Dial H #11, Earth 2 #11, Fairest #14, Green Arrow #19, Green Lantern #19, Legends of the Dark Knight #7, Looney Tunes #212, The Phantom Stranger #7, Scooby-Doo, Where Are You? 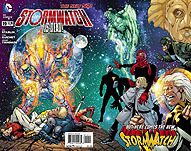 #32, Smallville: Season 11 #12, StormWatch #19, Swamp Thing #19 and World's Finest #11. For covers and six-page previews of Image Comics titles arriving in stores on April 3, CLICK HERE. 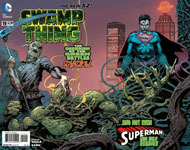 Titles include '68: Jungle Jim #1, Bedlam #6, Great Pacific #6, Mice Templar IV #1, Repossessed #4, Savage Dragon #186, Snapshot #3, Son of Merlin #3, Spawn #230, Super Dinosaur #18 and Witchblade #165. For covers and seven- to 11-page previews of IDW Publishing titles arriving in stores on April 3, CLICK HERE. Titles include Dungeons & Dragons, Vol. 3: Down, G.I. 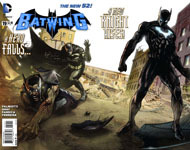 Joe: Special Missions #2, Godzilla: Half-Century War #5, Joe Palooka #5, KISS, Vol. 2, Locke & Key: Omega #4, Memorial: Imaginary Fiends #2, Popeye #2, Teenage Mutant Ninja Turtles Classics, Vol. 4 and Transformers Spotlight: Trailcutter #1. For previews of Marvel Comics titles arriving in stores on April 3, CLICK HERE. 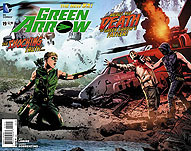 For previews of Dark Horse Comics titles arriving in stores on April 3, CLICK HERE. Marvel Comics has announced Superior Foes of Spider-Man, an ongoing series by Nick Spencer and Steve Lieber, to launch in July.
" With superior power comes superior responsibility...and superior villains! 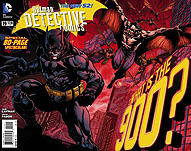 Boomerang, Shocker, Speed Demon, the Beetle, and Overdrive take a cue from the Superior Spider-Man and get upgraded for a new era of evil -- and the score of a lifetime! 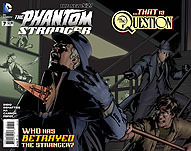 It’s a tale of suspense that'll turn the Marvel Universe upside down -- as only The Superior Foes of Spider-Man can!" "This is a book about the working class guys; these are not the Kingpins or Green Goblins or Doc Ocks of the world," Spencer said. "These are the small-time crooks looking for a quick score so they can pay their alimony and get the loan shark off their back. "A lot of the book is from Boomerang's perspective, and he's very much aware of that -- and he sees this new Sinister Six he's formed as one last big shot at real money and real power. He's got a lot riding on this." For covers and six- to eight-page previews of BOOM! Studios titles arriving in stores on April 3, CLICK HERE. 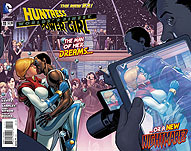 Titles include The Hypernaturals #10, Planet of the Apes: Cataclysm #8 and Polarity #1. 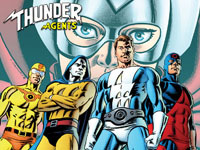 * AGENT CREATORS: IDW Publishing has announced Phil Hester as writer and Andrea Di Vito as artist for its Thunder Agents series premiering in August. 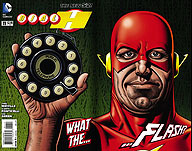 Artists providing covers will include Jerry Ordway and Dave Sim. 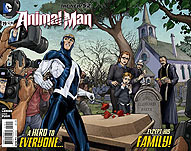 * INHUMANS: Shout! Factory s released a trailer for Marvel Knights Animation's Inhumans, arriving on DVD on April 23.